We can be so on-top of everything in life but somehow the diet and health aspects of our life are falling between the cracks. I’ll be doing a coaching session with Charlotte from Singapore in this podcast. We’ll discuss what causes her to lose control around food and why much of her eating is not really conscious. The vicious cycle of justifying bad eating is so tricky, so we’ll find what’s going on behind the scenes and discover solutions that will help create better eating habits. Charlotte and I discuss her successful life and career and why she thinks she’s passing up good options in favor of “comforting” options. We go over her thought model that creates perpetual failure through mostly unconscious momentary decisions. Knowing and understanding this cycle is a big part of how we are able to recognize what’s going wrong and how to fix things. How Charlotte’s diet falls behind when balancing work, family, health and life. The importance of prioritizing self-care. The stress points that trigger comfort eating. Why we shouldn’t be trading discomfort in the moment for discomfort in the future. Why you need to allow yourself to feel sad or stressed rather than self-medicating with food. Why it’s NOT our right to feel comforted and how to get rid of this way of thinking. How to deal with your emotional pain rather than shoving it behind you. Why taking a break from losing weight and developing a healthy relationship with yourself is important sometimes. How to visualize yourself as the person you want to be. 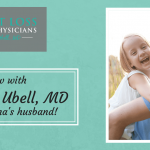 Katrina Ubell: You are listening to the Weight Loss For Busy Physicians podcast with Katrina Ubell, MD, episode number 90. Welcome to Weight Loss For Busy Physicians. 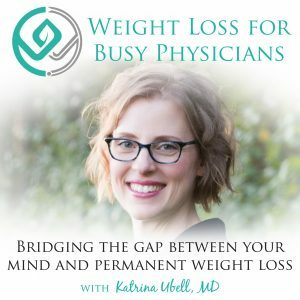 The podcast where busy doctors like you get the practical solutions and support you need to permanently lose the weight, so you can feel better and have the life you want. If you’re looking to overcome your stress eating and exhaustion and move into freedom around food, you’re in the right place. Hello, hello, my friend. Welcome back to the podcast today I have another coaching call for you. I know that these are so great. So many of you love being able to hear me coaching somebody and just seeing coaching in action. And I’m so excited to be able to share this coaching call with Charlotte. So Charlotte lives in Singapore. She’s totally amazing. And she asked for coaching on how to be more disciplined in her life regarding food. She has a lot of discipline on other areas of her life, and she has a lot of structure in other areas of her life. But she felt like in her personal life, she just really wasn’t able to get that together. And so I want you to pay attention as you’re listening to this call about how it really isn’t even about the food. And how it’s not even really about the discipline. And how we end up digging deeper and getting into what her opinion is of herself and how that is actually the main issue here. And so I think you’re gonna get a lot out of this episode. I think her story will resonate with so many of you who really feel like you’ve got this great life, it’s just this one thing that you still aren’t able to conquer. So enjoy my coaching call with Charlotte and have a great week. All right, so you were telling me that you wanted to have more discipline in your life, your personal life, because you have quite a bit of discipline in your work life, and then there’s this disconnect. So tell me more about that. Charlotte: So I feel that at work, I need to be disciplined to achieve the goals that I set out for the day. So I’ll set out in the morning with a whole agenda and a to-do list. You know how we are at this stage in our career. I’m 25 years out of med school. 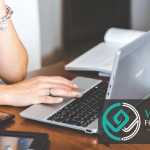 You have to have a whole schedule out there and you follow that to a tee, and you have meetings, and in some leadership roles, you have to make sure that you fulfill the deadlines. And I’m a researcher as well so there’s projects going on, and you’re so good at multitasking and you feel so accomplished when you manage to publish and then take care of your patients as well. And the usual stuff that all of us do. And then you’re a mom as well and then you have the kids and you religiously follow the things that the kids need. And you make sure that everybody’s happy around you, including the dog and the house and everything else. Katrina Ubell: Right, don’t forget the dog. Charlotte: In Singapore, we’re very lucky because we have full-time health. So in that way I can compare myself to my sister in New York where it’s harder for them and harder for you guys. And I’m sure I would’ve been the same if I was there. So at least that way I have some healthcare available and they’re wonderful people who help you out. So in that way that’s good. But then at the same time, I feel like when it comes to my own image and my own need for being calm and my own time to reflect. I have these apps on my phone but I never have time or make it a priority to do that. I don’t focus so much on my diet, although I have managed to get a personal trainer and I’m trying to lose weight and I follow that. But I know I’m cheating here and there. I know I’m lazy, I know I’m not able to keep up with that. And there’s something inside me that keeps making me not do it. And I know what I need to do but I will not do it. And that’s where the lack of discipline comes in. Where I can be so good with my professional life. And even that includes being a mom. And I’m just so bad at being myself and things I know I should do. My cholesterol is high, I’m on Statin, and my blood pressure as well. I had a period of PVCs a few years ago. And the cardiologist in the end just said, “Look, you’re fine you just need to calm down.” So the typical type A personality. So why can’t I do that when I know that I should for myself? Katrina Ubell: So why do you think that is the case? Why do you think you don’t prioritize yourself? Charlotte: Well, I think part of it is that I’m not a priority for myself, I feel. But that doesn’t mean that I don’t like myself, I don’t pity myself. I don’t have a victim complex at all. I feel I’m really privileged and I’m lucky to be where I am. And I feel self-accomplished for what I do. And I think I do things well and I’m proud of it. But when it comes to myself, when I put my mind to it, like if I have an event I can lose five pounds over a week. You starve, or you od whatever and I know it’s a goal. And when I look at it as a goal, I can accomplish it. But when it’s to maintain it, I kind of go and sabotage the whole program. I do it deliberately. So there’s something going on, which I feel stems from perhaps not feeling that this is as important as other things are. Or you have to give somewhere and this is what I should give. And I know you’ve talked about it in your podcast. In many ways, happiness and finding time for yourself and et cetera, it’s all there, if you think about it and you listen to various people, it’s all there. But it just doesn’t make a change so far. So when you think about prioritizing self-care, so however that looks, whether that’s taking time to yourself, eating the way you’re supposed to eat, working out with a trainer, whatever, what do you think about that? Charlotte: I feel good when I do it. Like I’ll start off the day, I’ll tell you a typical day in the operating room. As many operating rooms around the world, we always have a pantry or a den or whatever you wanna call it, a little place with lots of bagged food. And so you start off the day in the morning, you plan a very healthy breakfast and the trainers told you high protein, the eggs. And then you start off feeling really good with your one cup of coffee and you say, “Okay, I’m gonna start my first case.” And then by the time it’s the third case, then the cookies and the whatever is there is so tempting. And then you have your salad for lunch and you feel miserable because it’s cold and you had a bad case and somebody’s nearly tried to die on you. Like today, I had a 97 year old whose heart stopped and it took all of me to get her back. And you know, what do I do? I go back and I have a cookie and coffee. There goes every thought of being disciplined. I can do it very well on a weekend, or when I’m home, I can do the run, I can skip lunch, I can do all that. But when it’s work, it just destroys everything else. And I remember being a surgical intern and roaming the halls in the middle of the night and eating snacks and just chomping on a Snickers and the diet coke, that’s all I had. Katrina Ubell: Dove bar, that was me. Charlotte: I know you wanted to be an ortho. Katrina Ubell: That’s so funny. So this is what’s so interesting. I just wanna kind of point this out, what you’re describing, right, is that as much as you love your job and it’s great in so many ways. There is for sure, a stress element there, right? Just like what you’re telling me about, the 97 year old woman who tried to die and then you got her back. And so it was a good outcome, right? Like it all worked out. Yet, there’s still a lot of stress there, there’s some sort of feeling that you want to go away. And the cookie definitely does that for you. Charlotte: Yeah, it’s comfort food. Katrina Ubell: Comfort food, yeah. Charlotte: It’s warm and you’re in a cold environment, you’re in an unfriendly environment, hostile. And then it gives you so much more comfort and then your good intentions go out. But there has to be a limit to that because this goes on and on, day after day after day. It’s not a runoff. And the tires around my waist are unforgiving at 48. Charlotte: But now it’s no longer funny, it’s something that’s really bothering me and it’s worse on my self-esteem. I think it’s affecting my marriage and how I look at things, how I look at people. So, it’s something that when I was younger it was forgiving, yes, on my holiday and my vacation I could just run and it’ll all go off. And now, it’s not doing that. Katrina Ubell: Right. That’s what happens as we get older, for sure. That’s what happens in the 40s, it’s like wait a minute. Why does my body not respond? Charlotte: It’s a test to your emotions. So the happiness that you talked about in your last podcast, you find little bits of happiness. And today, when I was going to work, I was just looking at the rainbow out there. And we get lots of rainbows in Singapore. I was not really happy, but then I thought, “Okay, there’s other stuff that’s making me sad, so how do I balance it out?” You know? There’s happiness but it’s not sustainable. I’m not a depressive person, I hate being depressed. I don’t like it, I just shake it off and I find happiness in my job and my kids and different things. Even being in the unit for a week, I do get a mile on my face. I love that. So it’s not that I’m sad, but it’s just that having the weight makes it a little less happy. Everything is a little less happy. Katrina Ubell: Yeah. Well so what I wat to show you though, like you just told me, I don’t like being depressed, I don’t like feeling the sad emotions. I just kind of shake that off. I think that’s no reason you’re searching for comfort after you’ve had a stressful case. I would imagine that when somebody’s trying to die and you’re doing everything, pulling out all the stops, you have a physical response to that too. You have got the full adrenaline rush, and your body is like amped up. And you’re looking for a way to soothe yourself, to calm yourself down. And that comfort comes in the way of sugar and flour. Right? What I want you to see is just why you do that. It’s not because of like a weakness or because a lack of discipline or anything like that. What you’re looking for is to feel differently than you are physically in your body. Right? Possibly some of the way you feel is created by whatever your thoughts were. In this case, you probably were really relieved. But maybe you were spending a lot of time replaying it over in your head, what could we have done so that that didn’t happen? Or things like that. And then you’re just looking for a break from that. And that’s where the cookie helps. Charlotte: Yeah, I had a hard time, it was terrible. And who cares about my diet right now? Charlotte: You justify it. And then you keep justifying things. And that’s so wrong because it takes so much effort to get rid of that one cookie. Katrina Ubell: Right. And what it is is it’s trading discomfort in the moment for discomfort in the future. It’s saying, “Right now in the moment, I’m just gonna do this nice thing for myself and I’ll deal with the consequences later.” But then later comes, and like you were saying, everything’s just a little less happy. Like overall, then it dampens the whole enjoyment of your life because of the pushing off of dealing with the consequences later. And so that’s for anybody who is having trouble sticking to their plan. Really what it comes down to, and I see this in my clients all the time, where they’re like, “Okay, today, this is it. I’m following my plan 100%.” And by the next day, they’re like eating off their kids plate again. And it’s like what is that all about? And it has nothing to do with the food, it had everything to do with how you’re feeling. And being actually connected to that and even just experimenting with the idea of like, “Okay, it’s cookie time, what might it be like for me not to have the cookie? And to just feel what I’m feeling right now? And actually be curious of what I’m feeling right now.” Because when you eat the cookie, it just wipes it away, right? It helps you to forget it. Like you were saying, “I don’t feel like feeling depressed. I don’t like feeling those negative emotions.” That’s part of the problem, in terms of the better you get at feeling that, the more you go like, “Yeah, okay. This is one of those moments where, wow, that took a lot out of me.” Whatever you were feeling, that was really depleting or really exhausting or whatever, and I actually don’t need more food right now. What I need is a moment to maybe sit and breathe. Or just to drink some water, or whatever it is. Like it’s this sort of an idea, really when you think about it, a little bit of an entitlement kind of a thing, it’s a little bit of emotional childhood of feeling like … it’s sort of like our right to feel comforted. Charlotte: Very childish. I feel very primitive when I behave that way because it’s so against what I am. I’m generally a very sort of mature person. Charlotte: Here, I feel like a failure. And then uts a cycle. I fall for this temptation and I feel like I failed and then it’s depressing and I’m angry with myself. And then it comes again, the next day I start again. “Okay, I fasted overnight os the morning I’m fresh.” The funny thing is, the more satiety I feel, the more full I feel. I’m not a binger so I don’t binge on food. But in the morning when I’m not full, I feel good. I feel really good. And I feel like I have a head-start and I’m not nearly there. But then, at the end of the day when I’m eating a lot, I come home and I’m looking through cupboards too or the fridge. Charlotte: I know, my poor helper, we call them the helpers, the nanny at home. She has this little fresh juice and something healthy for me. And I’m like, “Yeah, enough of that. Let’s go for the real stuff.” And we don’t stock bad things in the house. We don’t have chips and stuff like that, but there’s always something which you shouldn’t be having. Or you’re full and you still want the gratification. I feel terrible afterwards because then I go to the gym and I feel like what’s the point? You know? I just ruined … I could’ve had that headstart of not feeling full and moving on and just during my exercise and that’d be great. Now I have to burn off an extra 400 calories. And I did this to myself. We really are kind of like, “I just don’t understand why I can’t get myself to do this” but we’re using self-flagellation as the thinking that that’s going to motivate. Right? Like when you’re beating yourself up. And you have so much evidence if this, right? Like you don’t do what you’re supposed to do, then you feel bad about that, then you beat yourself up, and then you’re better for like a moment, and then you do it again, and then you just beat yourself up. And so your opinion of yourself in this area of your life becomes lower and lower and lower. And then you’re like, “Why do I even bother?” Right? Then you start giving up on yourself. And there’s an element of hopelessness there. Like I can’t even figure this out. Charlotte: So I feel it’s a self-esteem problem, but when I think about it rationally, I don’t have a self-esteem problem. I feel I’m proud of myself, but when I subconsciously … I guess I don’t like myself or what I’m doing to myself. Katrina Ubell: And I cannot overemphasize how important it is that you recognize this because there’s very surface level thoughts that we have or opinions we have where we’re like, “I’m amazing, I’m great. Look at me on paper.” Right? “I have nothing to complain about, everything is amazing. I really do think I have good self-worth and I contribute to this world and I’m a great person” but there’ll be like this deep down little core issue, and it’s kind of getting down to what that is. And in your case, it really could be sort of a bit of a self-esteem thing, or just thinking that putting the time and effort into taking care of yourself isn’t as important as all of the work stuff. Making sure everybody at home has everything that they need. And when you see where you are on a priority list, that’s a reflection of what your thoughts are about yourself. Right? And then it’s like, “I don’t think very highly of myself, the only way I can feel highly about myself is to lose the weight and so all the things that I’m supposed to do, so then when I don’t do those things, rather than going well I love myself anyway unconditionally, which feels very different. It’s like let me beat myself up again.” Thinking that’s somehow going to help me to do better in the future. And you know you have a lot of evidence that that’s not helping you, it’s not motivating you to do what you wanna do at all. So the very first thing to do here is just to see this. Just to understand like, oh that’s why I do it. Not because, “That’s why I’m eating this food,” right? When I’m beating myself up and I already have a negative opinion if myself and then I have a stressful case, of course I’m gonna eat a cookie to feel better, right? Like of course I’m looking for some comfort. Because being me inside, can be pretty uncomfortable. Katrina Ubell: Right? You know? And so I think about myself at times, of course I’m looking for some comfort. And that comfort comes in the form of something that continues to not give you the results that you want. Right? It’s just another way of beating yourself up or feelings negatively about yourself. Charlotte: It’s the control that you lose. And it’s almost as if you have a split personality. And there’s one personality which is working against the other one. Katrina Ubell: It’s sort of like what Glennon Melton talks about. She talks about kind of sending out your representative into the world, right? Your representative is the one who follows her schedule and does everything. And goes to all the meetings and publishes and is amazing in the OR, right? But then there’s the real you that you’re like, “But I’m someone whose experiencing a significant amount of emotional pain at times.” But then it’s like, let me just shut that off and send out my representative and she runs my life. Meanwhile, I’m kind of back here. This is what’s so interesting, is sometimes, I recommend actually taking a break from even trying to lose weight for a while while you work on your relationship with yourself because the goal of trying to lose weight is just another way for you to distract yourself from what’s really going on for you. In a sense that it’s more important to spend time developing that relationship with yourself then to, “Okay, no today, I’m really gonna not eat the cookie,” and then eating it and then it just perpetuates that cycle again. Instead going, “Okay, what do I actually think about myself? What is my opinion?” And not what should it be or isn’t this horrifying that this is what I think about myself? ‘Cause that’s just another way of beating yourself up. Instead it’s going, “Okay, I want to figure out what’s actually going on for me.” There’s two things I was thinking as you were talking though about it in terms of wight loss and focusing on that, our commitment is really important. Like why you actually wanna do this and if the reason you want to lose weight is so that you can think more positively about yourself, you’re going to be in for a big disappointment. And the reason why is, you lose some weight, and like you said, maintenance is harder, right? Like you might get to a point where you’re like, “Oh, my body still doesn’t look the way I would like it to.” Or, “Sure, I lost this weight, but now there’s something else that’s wrong with me.” It’s so much more about what loving yourself no matter what. But also knowing, “Why do I wanna do that?” If your goal is I wanna get off my Statin and I want to get off my blood pressure medication, those are measurable goals, right? Like I’m gonna do that, I’m gonna know I achieved that goal when I don’t need to be on those anymore. And that’s a way that I can love myself, is taking care of myself well enough. Whatever that ends up looking like in order to reduce those medications or get off of them completely. The other concept I think can be super helpful when you’re like, “Okay, I see that I have these beliefs about myself and I see that they don’t serve me, but I don’t know how to think differently.” For many of us, it’s been decades, maybe even since you were even a kid, right? That where you’re just on this achievement treadmill and just like, “I need to achieve more and if I’m not, then I don’t think positively about myself.” And then here’s a complete perpetuation of that again ’cause I’m not achieving in my health and my weight so then I feel bad about myself. Instead, what you can think of is who the woman might be who shows up in her life the way that you want to show up in your life. So thinking about a woman who is an anesthesiologist, who also does research, and also does critical care, and has a couple of kids, and doesn’t eat the cookie. Actually eats just the fuel that her body needs. Course she enjoys some food maybe off her plan every now and then, but just not all the time like you’re saying. And how does she act in her life. And then just playing with like, I wonder how she feels and what she thinks when she’s making those decisions. Because the way that she’s acts in her life is everything on the A-line, on the action line in the model. And we know that feelings drive our actions and thoughts create our feelings. So it’s just kind of playing around. If you know somebody whose like this, you can ask. But if you don’t, you can just imagine, like I wonder what she thinks about something similar where you end up eating off plan but she’s in a similar situation and doesn’t do that. Like what might she be thinking and how might that make her feel so that she is taking those actions and getting those results that she wants. It’s basically in order for you to get the results that you want, you have to become a different person. You know? Something who you don’t really know who she is right now. And that is one reason why you feel like you don’t have a lot if guidance or you don’t really know where you’re going. You’re like, “I don’t know, but me doesn’t do that. So I don’t know how to get to that other person.” And so it seems like a little kind of weird at first. But seriously, kind of just imagine, who is that person? How does she have a life like mine? And actually takes the actions that I want to be taking. And then you create those models, you figure out what those models may be, and then you try them out for yourself. So then when you have that desire to eat something to comfort yourself, instead going, “Okay, what might be different? Like how can I try something different? Let me try this new thought on that this other person might be thinking and see if I can create that feeling for myself. So then I take this action that I know I wanna take. Is she more willing to feel that discomfort? Does she just go, of course you want the cookie but it’s okay, you don’t need a cookie right now” Something what we’d say to one of our kids. Right? Where it’s like, of course it would taste good, but you’ve had enough sugar, probably not today. Something like that. It really is just playing around with figuring out who that person is. And then pretending to be her. Like pretending in the sense of like being an actor. Like taking on that role and going, “If I were her today, how might she live my life?” And then just trying it out. And becoming, taking the parts that work for you and actually becoming that person. So it’s not like you’re completely losing your identity, but you’re leaving behind the identity of someone who thinks she doesn’t have good self-discipline. Something who thinks that she just can’t get this together, that she fails at this all the time. Instead, going, “You know, what might be a different way of thinking about this? If somebody else wanted to lose some weight and they weren’t beating themselves up, how else might they think about it?” Well, this is something that’s pretty personal, an individual, ’cause what works for you might now work for me. We kind of have to play around with it and see. But it ultimately comes down to having that commitment to this process. And then prioritizing it. So I find that with my clients all the time, or work with me, where it’s kind of like they haven’t spent any time, barely at all, really focusing on themselves, and that even feels foreign, right? You might be like well maybe she’s someone who actually is in tune with what she’s thinking and feeling and that requires me to take 10, 15 minutes every night to do just a little thought download, figure out what’s going on for me, reevaluating what happened. But the way you figure that out is just with experimentation and with taking the time to actually think about it a little bit, right? Katrina Ubell: So the other thing that we all know is like you can’t … I always get this saying wrong. Something like, give from an empty well or drink from an empty cup, or I don’t know, whatever it is. You know what I’m talking about, right? Like you have to be taking care of yourself before you can really give everything to everyone else. And in this case, what I want to suggest as an option, just something for you to play around with in your mind is, your life is amazing as it is, but just playing around with the idea of like, “How might it be even better if you actually had a positive opinion of yourself and were taking care of yourself?” Like how might you show up differently in your life in other areas where you’re already showing up great? It’s not like there’s a problem. But how might it take your whole life to the next level? Like maybe how your marriage is, your relationship with your kids, how you’re showing and doing things in your job if you had this strong relationship with yourself where you knew that you would do what you said you were gonna do in all areas of your life. If there’s one person you can count, it’s you. Just how that might be different, and how that’s something you wanna work toward. That’s how you start getting the idea of like, “That might actually be a better life. And maybe I’m willing to feel uncomfortable in the moment in order to work toward achieving that.” Rather than the roll around your belly, you know what I mean? That’s so superficial. Not superficial in the sense that you’re a shallow person, but superficial of that’s not what’s really going on. The size of the clothes or the couple extra pounds or whatever, or maybe even a lot of extra pounds for some people, all of that becomes a non-issue. That weight goes away when you have taken care of the other emotional issues. So rather than, “I need a different diet plan and I need someone to hold me accountable and I need this and that,” no, what you need is that relationship with yourself where you know you’ve got you and you know that you can feel any emotion that you experience and you don’t need food to rescue you from that, then the weight comes off because you’re not overeating anymore. Right? So tell me what you think about all that. Katrina Ubell: Yeah. But so you can see then that a lot of that hunger that you have is emotional hunger. It’s created by your thoughts, it’s not true, physical hunger. And sometimes it really is like, “I don’t know, is this actual hunger or not? Like I’m not even sure.” And this is all going on in your head, I mean you can be doing other things. You can be moving a patient going, “Gosh, I’m hungry. Well interesting, is that true hunger? Where is it in my body? Is it over my stomach? Or is it more like in my chest or kind of in my throat? Did it come on super suddenly, like really quickly?” like usually, actual physical hunger takes a little longer to ramp up, you know? Charlotte: Not just because it’s there, it’s because I’m not satiated. Charlotte: You’re prowling for food. Katrina Ubell: Right, prowl, exactly. Yeah. This isn’t even what I’m needing right now. But that awareness, that willingness to go like, “Huh, okay. Like look at me, I actually just ate that.” ‘Cause at first, it’s probably gonna be right after you’ve eaten and notice it and go, “Interesting, okay. So what was going on for me right before I decided I was gonna eat that thing?” And tapping into that. Then the next thing we work toward is while you’re eating it, to recognize that and going, “Oh, wait. Oh I’m doing this. Let me just put that down and see if I can just even stop in mid eating.” And then we work toward catching it beforehand going, “Okay, this hunger is actually not true physical hunger, this is just emotional hunger. I’ve actually had plenty of food. Let me just see, let me just wait, let me spend some time thinking about what I’m actually feeling right now. And what thoughts are creating that. And maybe there’s a different way of thinking about that that will make me feel the way that I wanna feel,” you know? But then while at the same time, having some compassion. Like let’s just say, let’s go to worst case scenario, like say a patient dies on the table or something, right, that you didn’t expect. Then if you are feeling really horrible about it, having some compassion for yourself. That feels bad. Charlotte: And I’m pretty sure I wouldn’t feel hungry at all. Katrina Ubell: Those emotions are so difficult that you wouldn’t wanna eat, okay. Charlotte: Me being upset, this is … as if I’m not taking things seriously. I’m just eating because I don’t care. Katrina Ubell: Kind of a rebellion, right? It’s kind of like a, don’t tell me what to do, kind of like child-like thing. So it doesn’t even make physiologic sense to not enjoy that or not like that and then go and eat. I really do like my work and then I wonder why do I have this need? Which is not hunger, but why do I have this need? I think sometimes we’re so worried or afraid to actually delve into that ’cause we might be afraid of what we’re gonna find. And what if I don’t like it? Does that mean I’m gonna not like the rest of my career? And that doesn’t mean that at all. Like maybe what you’re gonna find is, “I actually like this part and this part and this part, but this one part, I don’t really lie it that much. It doesn’t make me feel that good. If I had my choice, I wouldn’t do it. But it’s part of the deal so then what can I do to change my thinking about it so that it isn’t so difficult for me anymore?” You don’t have to have it be your favorite part, but getting to a place where it actually is something that’s more tolerable so that you figure out that is the part that I need to work on. Right? So rather than like, “Everything is so great and I love my job and everything is so amazing,” I would’ve said the same thing when I was in practice. I have nothing to complain about, I have the most amazing patients. I just fell into this great patient panel and everything is so amazing. Except why was I stuffing my face with animal crackers at the end of the day?” Because I was really stressed in a lot of other ways that I wouldn’t even let myself see. So I wanna offer that that thinking, I think, blocks you from figuring out what it really is. So it doesn’t mean that you have to think the other, like I don’t like my job, it doesn’t mean that at all. But instead going, “There’s lots of parts of my job I like and there’s some parts that stress me out and I’m figuring out what those parts are. Figuring out what those parts are that make it so that by the end of the day I’m just looking of comfort like crazy.” And so I don’t know what that is for you, but it’s there for you. It’s just working to open up your brain, unblocking your brain from seeing what that is. And really the best way to do that is to ask yourself better questions. What is it that’s making me stressed out? What is it that’s making me think that eating something right now, even though I just ate an hour ago, is a good idea. Is it that I wanna reward myself for the hard work that I did? Is it sort of like a celebration type of thing? It might not even be a negative emotion, it might be like pat on the back, I was amazing in there. Like let me eat something to celebrate. Like oh, I see that pattern. Whatever it ends up being, but that awareness and just paying attention and being curious without judgment is how you’re gonna figure that out. Just going, “Let me just see. Let me just see what is going on. I’m feeling like I really wanna eat something, I wonder what that’s about.” Rather than, “Okay, let me just eat it, screw everything. I deserve it,” you know? Like maybe it’s the thought of, “I deserve it,” that that is the problem. You know? Like I have this entitlement kind of a thing. Or whatever it ends up being, but that is how you start figuring it out. It’s not that you need more discipline. You have tons of discipline, right? You told me all the things, your to-do list, and agendas, and you’ve got discipline for days, that’s not the problem. It’s figuring out what it is that’s going on that is so intolerable or the perception of it is that it’s so intolerable, that food is the answer. Charlotte: Well thank you so much. Katrina Ubell: You are so welcome. You’re so welcome. And thanks for raising your hand and doing this for everybody, okay? Charlotte: Thank you very much. Thanks a lot for your time. This is great. And it’s such an honor to meet you. Katrina Ubell: You too, it’s so fun. Charlotte: Video chat with you. Thank you very much. We really enjoy your podcast. Katrina Ubell: That’s so great. Thanks for joining me today. If you like what you heard here, be sure to hit subscribe in your podcast app so you never miss an episode. Wow. Amazing podcast. Charlotte, you are my soul sister! Thank you so much for sharing! I hear my own story in so much yours! Katrina-do you have any good resources for really digging into the whole relationship with self stuff? Charlotte, thank you for being so brave to be coached and for being real about the struggle to make yourself a priority. This conversation really opened my thoughts to a new possibility. For months, I have been thinking, like you, “why don’t I just have the discipline in this one area of my life?” Katrina, thank you for laying down the idea that, perhaps it is sometimes better to put away the focus on weight loss, and just takie some time working on the Emotions, and the relationship with ourselves. And the part about “trying on” different thought models, to see if they could create different feelings, in a way that I may find believable seems really doable. Thank you for the great insights!